The holiday season is coming and budgets are even tighter with the extra expenses that come along with it. This Sunday, I'm sharing a recipe that won't take a bite out of your wallet. Sunday Supper shouldn't suffer just because there aren't many extra dollars to go around to make decadent meals. You can still make creative, flavorful meals for mere pennies on the dollar. 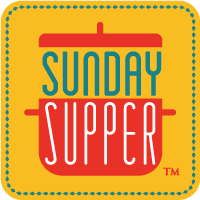 THIS WEEK, Sunday Supper is being co-hosted by T.R. of Gluten Free Crumbley and David of Cooking Chat! I'm not sure if you know, but I am the host of a budget-friendly TV show that is filmed and produced by the City of Winston-Salem. This year we shot 9 episodes of a show called "$20 Challenge" where I took a crisp $20 bill, shopped at a local farmer's market and created a meal for four using the market's ingredients. I always try to use minimal pantry ingredients that most everyone should have on-hand at any time. And if you don't have a pantry, the extra items are fairly inexpensive and can be purchased at discount retailers like Dollar Tree, Big Lots (my favorite) or your local grocer. 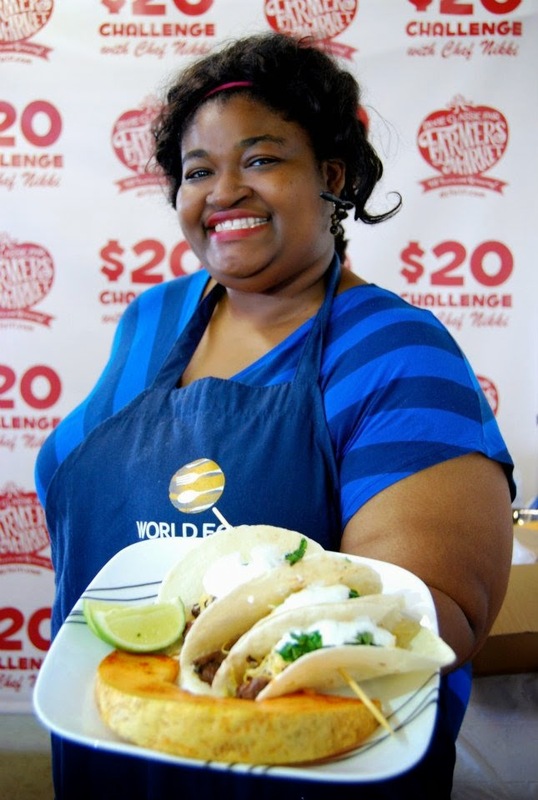 Most weeks on the show, my task to make budget-friendly meals was easy. Some weeks it was hard, but I'm sharing this recipe for Sunday Supper because personally--I love tacos. I can't get enough. I eat more tacos than anything. My diet pretty much consists of tacos, pizza, whole-wheat bread, cake, beer and tacos. I'm like a five-year-old child (minus the alcohol)! So to make this meal on "$20 Challenge", I spent $15.40! I did have a spicy marinated cantaloupe that cost $4, so you can easily make these tacos for less than $15 including all of the usual taco toppings like: shredded cheese, sour cream, salsa, onions, radishes, lettuce and fresh herbs like cilantro or parsley. 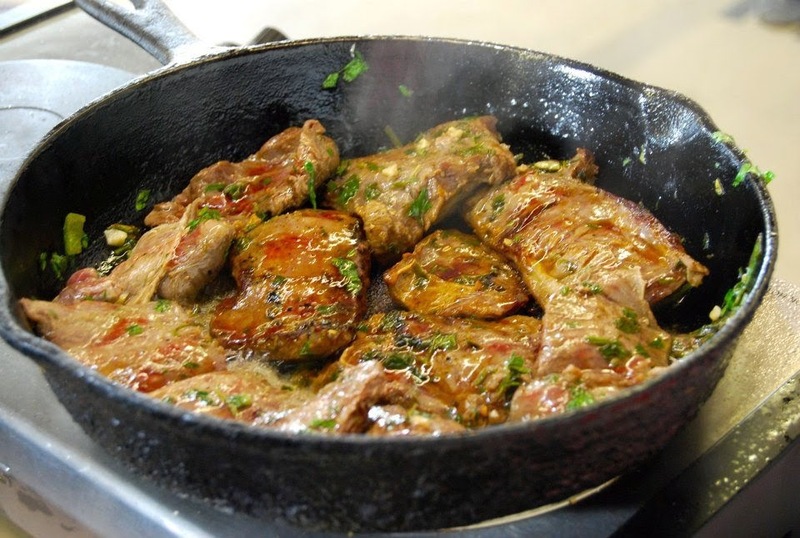 You can also use dried herbs in the marinade in place of fresh herbs and save even MORE cash. A simple side like rice, corn, or baked beans, can make the tacos into a fantastic meal for four OR MORE! Put all ingredients in a resealable plastic bag and release all excess air OR a large bowl and cover with plastic wrap, pressing it against the surface to eliminate excess air. Marinate steak for 10 minutes up to 12 hours in refrigerator. Heat grill or stove on high. Use a scant 1/2 teaspoon of oil on the pan. Sear on one side until golden brown and slightly charred, about 3 to 4 minutes. Turn the steak over and cook to medium-rare, about 3 to 4 minutes longer. Let rest 5 minutes then slice against the grain into 1/4-inch thick slices. Fill each tortilla with 3 to 4 pieces of meat, tomato salsa, sour cream or Greek yogurt, cheese and any other condiments you like. Oh, boy, do your tacos look terrific!! And I love that you can make them on the stove...yumminess all year round!!! These look amazing!! What a fun job you must have hosting that show. Loving this budget friendly dish! Skirt steak is my FAVE cut! LOVE this recipe and can't get over the fact that you made if for less than $20! VERY impressive and delicious!! Tacos are a big hit in this household, your look fabulous!! I know some fun folks who would love this for a tailgating party! Lovely share! 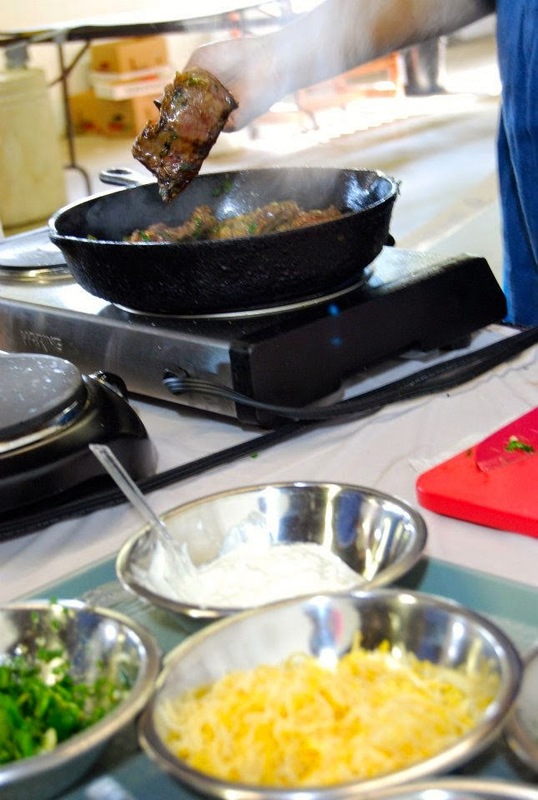 Your marinade sounds delicious! I would totally use it for fish. Yum! 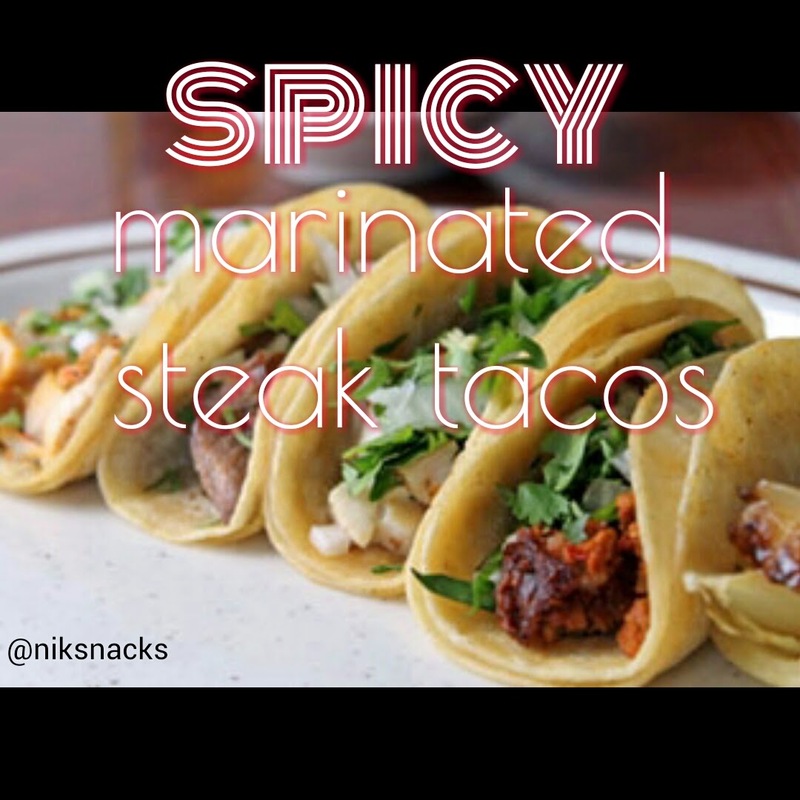 Spicy, Steak, and Taco....yes, this is definitely one I have to try! These look SO delicious! Thanks for sharing. I love budget recipes that actually look amazing. Hooray. You tacos look Amazing Nik! It's so cool you host a TV show in your community too! Thanks for sharing! Oh I love Mexican food and your tacos are calling my name! Definitely pinning this for later. I love this! And what a neat job on a cool show!